An unabashed fan of the short story format, I like nothing better than a good collection of short stories. When I started reading Mice in Men by Anirban Bose, I was expecting a good book. But I was pleasantly surprised as it turned out to be a great book. The stories are fresh, innovative and insightful. Anirban writes well with a rare command over the language and a flair for the written word. The language and flow is far superior to his debut novel, Bombay rains, Bombay girls. What lifts this collection far above average is the warm feeling that these stories leave in your heart. The fist story of the collection, A new job, is an excellent study of human nature with a twist in the end. The magic of medicine, a tale of a doctor struggling with a challenging case, touches the heart. Being a doctor, I identified strongly with the storyline and the situation. 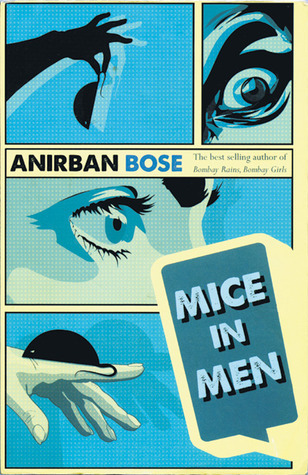 Mice in men, the story of a ordinary non-descript person discovering the hero within, is probably the weakest story of the collection. Neologisms, the story of a man rising above the circumstances of his birth, finding great success, yet faltering at a critical juncture is profound. The ballonwala is reminiscent of The Gift of Magi. The temptation of fate, again the story of a non entity finding the hero within, is well written. Stockholm Syndrome, a psychological thriller, is the pick of the lot. It can easily hold its own against international writing anywhere in the world. The right way to eat a mango is very sentimental. The faithfulness of traits, a study of human ego and weakness, weaves a spell. The last story, The world’s greatest oiban, leaves you feeling nice and warm. I will rate the book at 8/10 and suggest that it is a must read for short story fans. Please participate if Durga Puja bears special significance to you. I am looking for bloggers for a multi-author blog i am starting up. If you are interested please drop me a mail at ankit@zapondo.com for details. I would love to see your posts on our site.